Posted By PA Breast Cancer Coalition on June 5th, 2018 at 9:36 am | 0 comments. According to a recent study, thousands of women with early-stage breast cancer do not need chemotherapy as part of their treatment regimen. The results of the largest ever breast cancer treatment trial, the TAILORx study, were published this week in the New England Journal of Medicine. Researchers say the trial found evidence that 70 percent of early-stage breast cancer patients will receive no benefit from chemotherapy. The article goes on to say those patients would effectively be treated with endocrine therapy alone. The data indicated that some women 50 and younger might benefit from chemo even if gene-test results suggested otherwise. It is not clear why. In order to conduct the TAILORx study, researchers examined results of the Genomic Health Oncotype DX test which provides a score for the patient’s risk of recurrence. 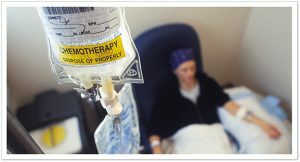 The clinical trial found that, in patients who received a score of 11 to 25, chemotherapy was not necessary. Investigators conducted gene tests on tumor samples to identify women who could skip chemo and take drugs like tamoxifen that block estrogen or stop the body from producing estrogen (endocrine therapy). Drugs like tamoxifen have been proven to reduce the risk of recurrence in breast cancer survivors. Today, 37 women will be diagnosed with breast cancer in Pennsylvania, and 140,000 PA women are currently living with the disease. Early-stage breast cancer makes up half of all breast cancer diagnoses. CLICK HERE to read the complete New England Journal of Medicine article.